While Mr. L and I were in Alabama, we had the pleasure of eating at a wonderful waterfront restaurant that had recently opened in our area. After hearing about how delicious the gumbo was at this place, we both decided we had to try it. It was fantastic! We were really sad that we had to leave such a great find, but we couldn't have Mr. L going AWOL or anything so we had to head back to Hawaii, haha. 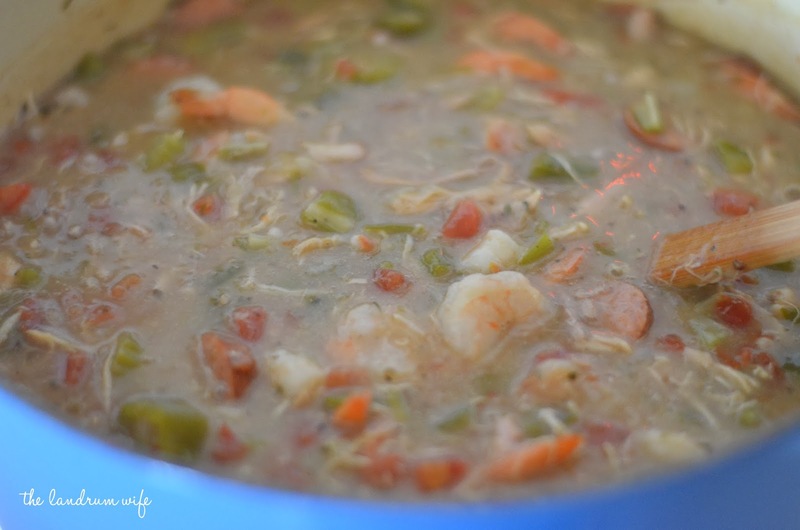 Now that we're back in Hawaii, I went on a mini-mission to find a great gumbo recipe that I can call my own. This recipe is my first crack at it! I'll be making some adjustments to it, but it was definitely delicious even if it wasn't yet perfect. 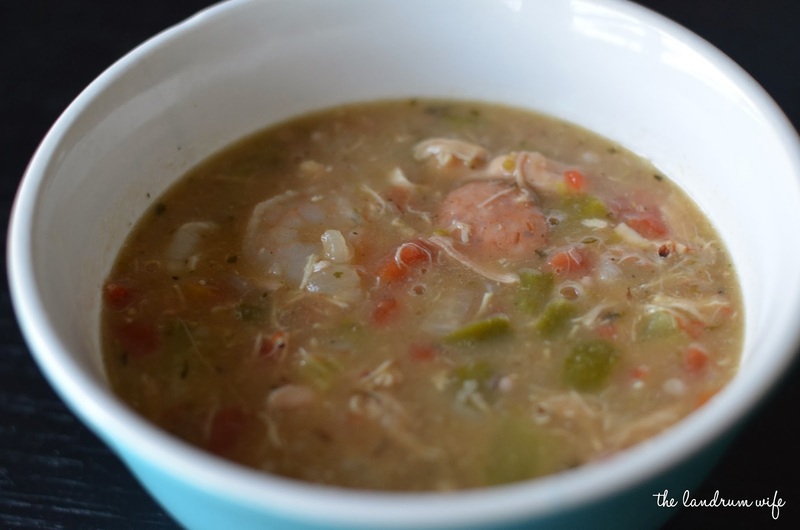 Eventually I'll get it just right and I'll have to share that recipe too on down the road, but for now, here's a simple, yummy gumbo recipe that you'll enjoy! Add olive oil to your pot over medium heat. After the oil is heated through, add the diced onions and cook until translucent. Then add the minced garlic, celery, and pepper. Cook for about 5 minutes or so until the vegetables soften up. In a separate small saucepan, melt the butter over low heat and then add the flour to make the roux. Stir constantly until the flour browns, taking care to make sure it doesn't burn. After the roux has browned enough, add it to the vegetable mixture along with the sausage, cilantro, oregano, thyme, parsley, salt, and pepper. Stir in the chicken stock and bring to a boil. Then reduce the heat, cover, and let simmer for about 40 or 45 minutes. Add the can of tomatoes with the juices and cook for another 10 minutes or so, then add the frozen shrimp and continue cooking until the shrimp turn pink and are heated through. 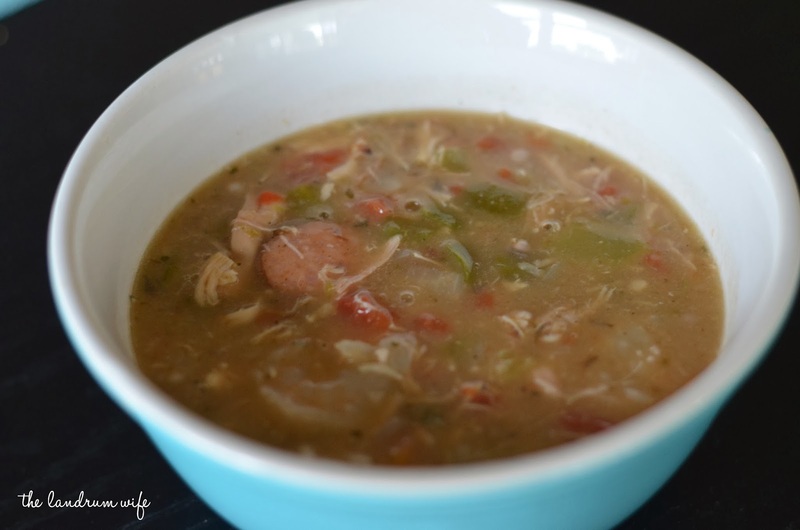 Then grab some bowls and enjoy your gumbo! 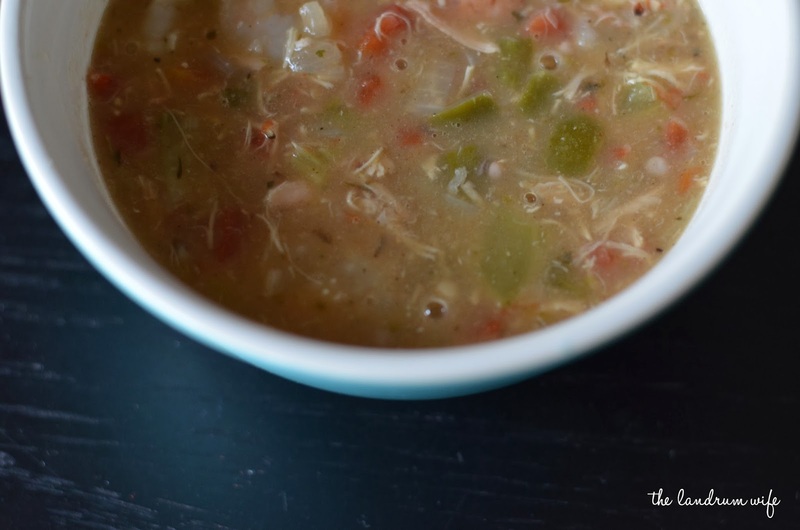 Do you like gumbo? 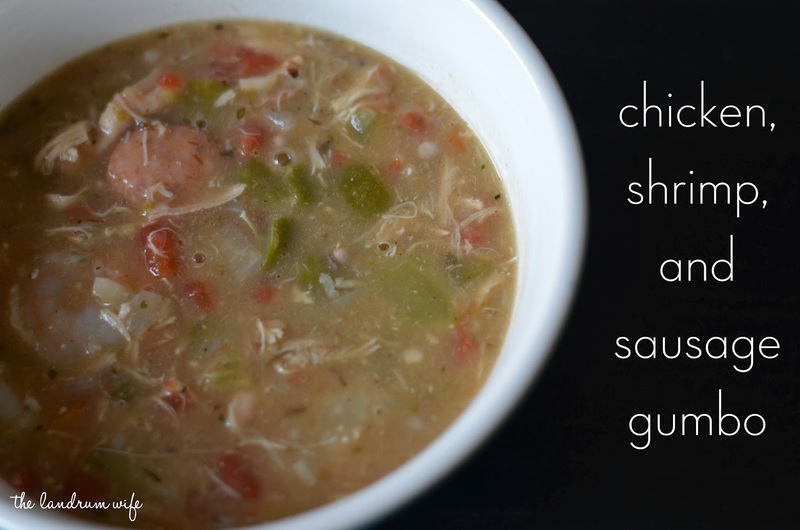 If so, do you have a favorite recipe for it?